Florida’s teenage population is abusing alcohol and other drugs at an alarming and persistent rate. Data from the Department of Health and Human Services (HHS) indicates that 16 percent of Florida teens engage in regular binge drinking, 37 percent have used marijuana, 6 percent have abused cocaine, 4 percent have engaged in nonmedical use of pain relievers, and 3 percent need treatment for SUD but never receive it. Effectively treating the addiction care needs of teens requires an acute and thorough understanding of the factors that lead to and sustain their substance abuse. 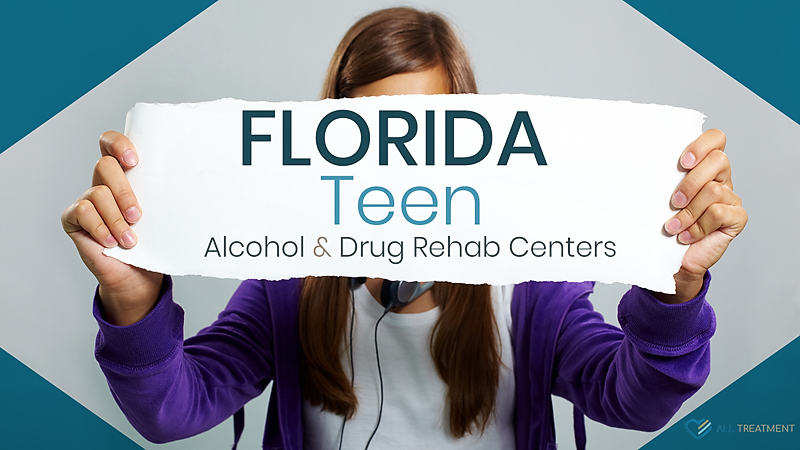 The good news is that Florida offers numerous alcohol and drug rehab centers for teens. There’s a reason why so many who become addicted start using alcohol or other drugs before they turn eighteen. Teenagers face a unique and specialized set of circumstances that render them increasingly vulnerable to SUD. For one thing, the brain does not fully develop until the mid-twenties, which can account for part of the inability of many teenagers to grasp the full consequences of their actions. Other factors include peer pressure, academic pressure, family dysfunction, and various other issues. Very often teenage substance abuse is the product of an underlying mental health issue such as depression or anxiety. Teenagers are at particularly heightened risk of prescription stimulant addiction, including drugs like Ritalin and Adderall, because of their use to improve their concentration and their academic performance. In response to the state’s escalating rate of teen drug addiction, more and more rehab centers in Florida have started offering specialized treatment programs to address this uniquely vulnerable population. If your son or daughter is battling SUD in Florida, start searching our database of Florida alcohol and drug rehab centers today to find the best possible option for them.